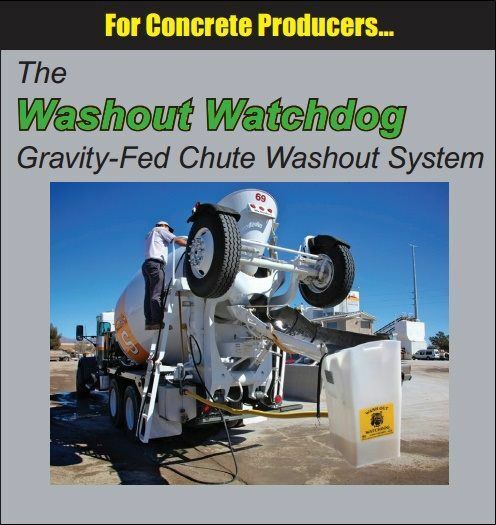 Washout Watchdog® has been produced continuously since 2004, with thousands of systems in use by concrete producers across the U.S. and Canada. It is a concrete washout water containment system featuring a variety of uniquely-shaped plastic tanks that mount on all sizes and types of concrete trucks. Porta-Pit®, introduced in 2013, is a portable pit for use on job sites to contain washout water and is primarily for use by contractors. Les Connard is an entrepreneur living in Southern California who has a passion for the concrete industry. His products are aimed at helping concrete producers and contractors handle the problem of washout water, recycling this valuable resource while keeping the environment clean. 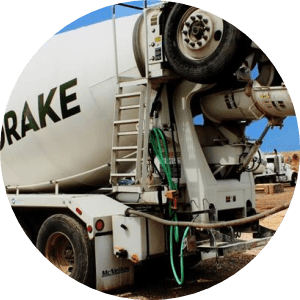 He is dedicated to providing practical, low-cost solutions to the washout problem, and advocates for the elimination of antiquated federal and state regulations that prohibit the use of billions of gallons of recycled water in concrete and for dust control. Revolutionary new plastic that won’t corrode or crack. Stackable and secure. No spills, no mess, no fines. 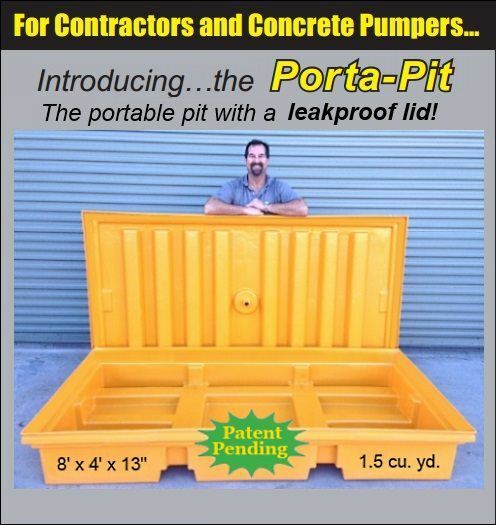 Call (626) 247-8766 for more Porta-Pit information or click below. Most reliable and cost-effective truck-mounted washout system. Made to work in extreme weather. Custom-designed units for rear- & front-discharge & volumetric trucks..
Will not rust, corrode or plug up. Call (626) 893-4170 for more Washout Watchdog info, or click below. © Copyright 2017 | Washout Watchdog | All rights reserved.